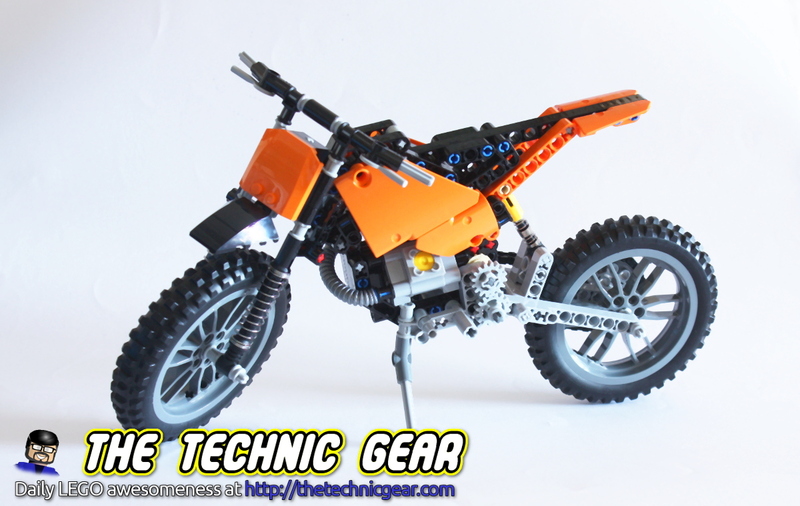 While looking for new parts for my definitive megarobot I bought this decently priced LEGO Technic Set, the 42007 Moto Cross Bike (£22.45 on Amazon) one. This set features two of the biggest wheels available at LEGO right now. 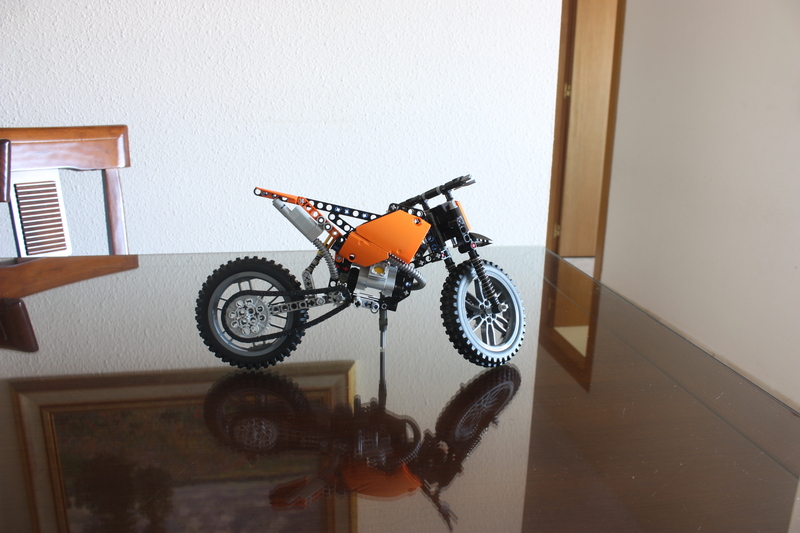 The bike is really cool and the model A is quite interesting to build. It has a piece for the motor, much like a triangle that I haven’t seen before. You can see the model “working” in the next video. The set is fun to be build and not very complex. I now will build the model B and give you a full review of it.